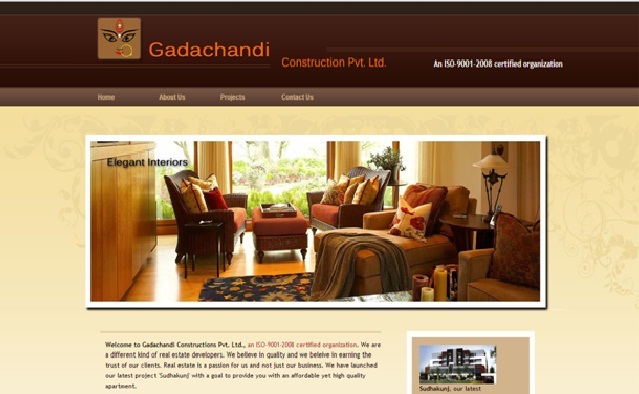 Gadachandi Construction is a first track real estate company located at Bhubaneswar, Odisha. This company provides affordable residential projects like lands, flats, apartments, duplex at the best locations of the State. This company is a certified company follow ‘believe in the best’ policy in terms of Implementation, Design, Development, Planning, Comfort, Marketing and 100% quality works. This company has many experiences professionals like Marketing Managers, Supervisors, Quality Contractors, Sales Managers and Other Official Staffs to give cent percent support to their esteemed customers.